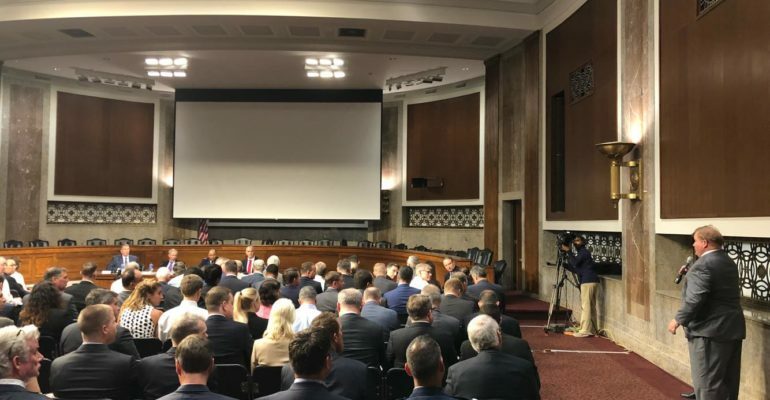 MDAA's 20th Congressional Roundtable discussion on Space-Based Missile Defense at the Dirksen Senate Office Building on September 4, 2018. This week on Tuesday, September 4th, we hosted our 20th Congressional Roundtable discussion at the Nation’s Capital on space-based missile defense. At the event, we had an open and public education about what we need to do in space, why we need to go to space, and what is space-based missile defense. We were honored to have the world’s top three experts – Mr. John Rood, Under Secretary of Defense for Policy, Dr. Michael Griffin, Under Secretary of Defense for Research and Engineering, and Lieutenant General Samuel Greaves, Missile Defense Agency Director – to discuss and educate on this revolutionary and really positive movement that our nation is going to make happen. Here are some key quotes from the event. Click here to read the transcripts and the media coverage that has come from the event. This is probably the first time in history we’ve had this level broach missile defense in space in a public forum and it is the leadership and the confidence of these three top level experts in the environment of advancing threats, existing technology, and bipartisan Congressional support, to introduce and educate our public on why we need to go to space and what going to space means for missile defense.